Apple has today announced that the white version of its popular iPhone 4 is now on sale, nine months after the original iPhone 4 hit the shelves in Australia. Read our comprehensive iPhone 4 review. Delayed due to rumoured "challenging" manufacturing issues, the white version of the iPhone 4 was initially delayed until the second half of July last year, before being pushed back again until the end of 2010. "White models of Apple's new iPhone 4 have proven more challenging to manufacture than expected, and as a result they will not be available until the second half of July," a statement from Apple read in June 2010. Apple didn't cite exactly what issues delayed the release of the white iPhone 4, but rumours suggested complications with a sensor used in the phone. 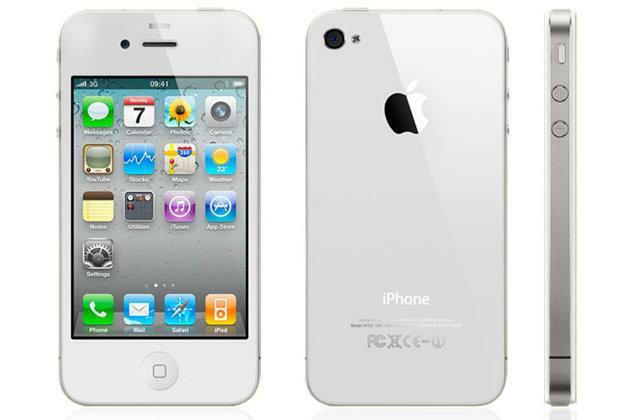 The white iPhone 4 will be available from Apple's existing channels including online, at Apple's retail stores, and select Apple authorised resellers. The white iPhone 4 doesn't add any new features aside from its colour, and will cost the same as the original black iPhone 4 — $859 for the 16GB model and $999 for the 32GB model. In addition to Australia, white models of iPhone 4 will be available in Austria, Belgium, Canada, China, Czech Republic, Denmark, Finland, France, Germany, Hong Kong, Ireland, Italy, Japan, Luxembourg, Macau, Netherlands, New Zealand, Norway, Singapore, South Korea, Spain, Switzerland, Sweden, Taiwan, Thailand, UK and the US, from today. Apple says "many more countries around the world" will follow soon.